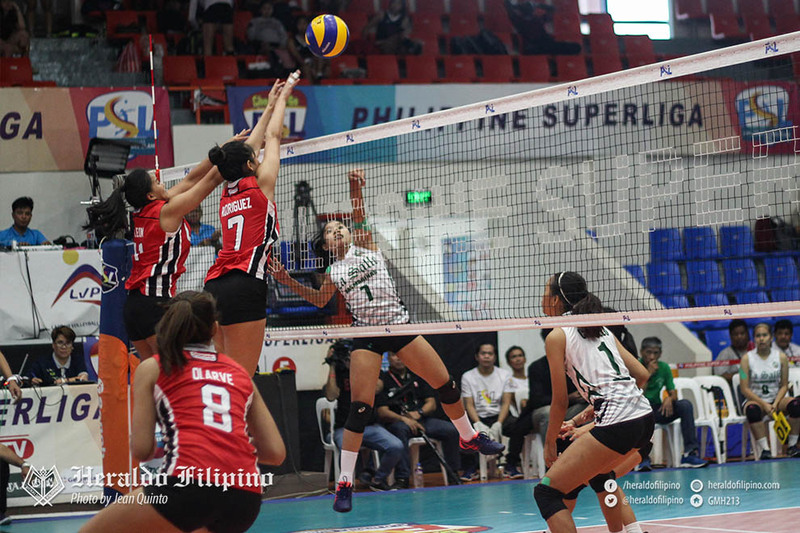 The University of the East (UE) Lady Warriors vanquished the DLSU-D Lady Patriots in their first encounter with a monster sweep of 11-25, 24-26, 13-25 in the preliminary round of the Philippine SuperLiga (PSL) Collegiate Grand Slam 2018 on Saturday, November 24, at the Caloocan Sports Complex in Caloocan City. 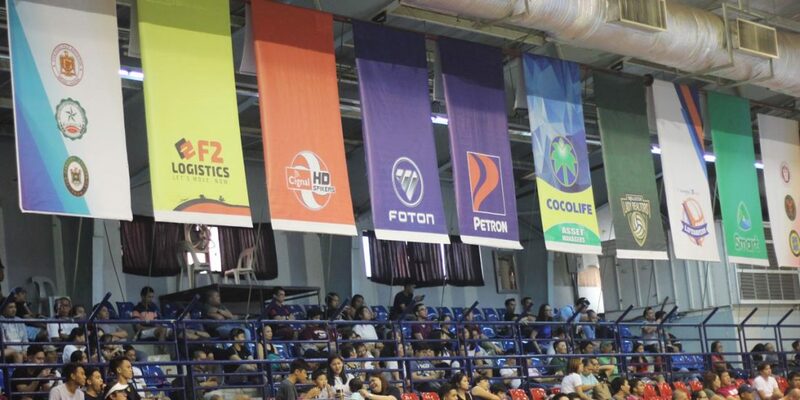 Much like the Lady Patriots’ previous match on November 10 against Far Eastern University (FEU), rookie open hitter Rain Ramos once again led the Lady Patriots in scoring with 6 points while spiker Basilyn Delfin notched five points. 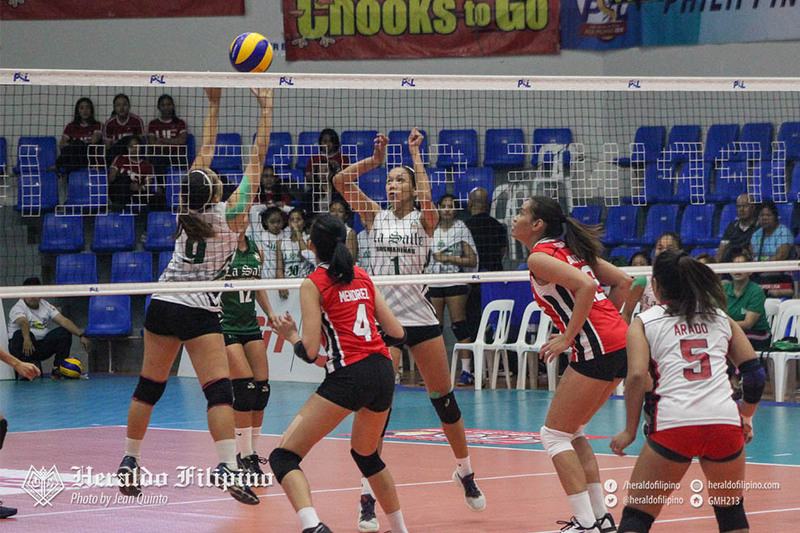 The Lady Patriots were plagued by a barrage of service aces by the Lady Warriors in the first set, resulting in an established momentum in favor of UE, which held down DLSU-D with 11 points. 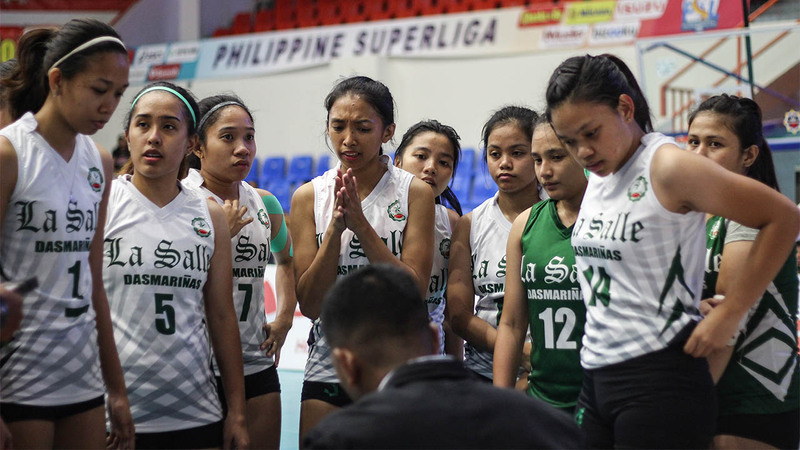 DLSU-D came close to disrupt the impetus of the Lady Warriors in the following canto as the Lady Patriots tied the game with scores of 23-23 and 24-24 thanks to UE’s errors. 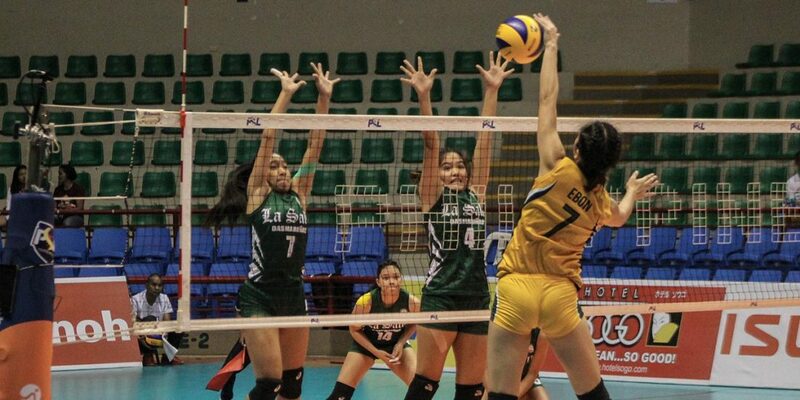 But an unfortunate outside spike committed by DLSU-D pushed the score 24-25. Lady Warrior Remcel Santos took advantage of the set point, proceeding with a rock-solid block to secure the second set with a score of 24-26. The Lady Patriots were unable to withstand the momentum of their opponent, with UE Most Valuable Player (MVP) Judith Abil leading the Lady Warriors’ offense with nine points in the third set to end the game in dominating fashion, 13-25. The two MVPs of the game were Lady Warriors Judith Abil and Mary Ann Mendrez who fired up 11 points and seven points respectively to clinch their first victory in the league. The unwavering spirits of the Lady Patriots will take on the spotless University of the Philippines – Diliman Lady Maroons on December 8 at Filoil Flying V Centre in San Juan.